Following on from my previous post on Keeping in Sync, I wanted to discuss how I keep the rest of my files synced between my three working computers. As I mentioned in the last post, Live Mesh is used to sync my working documents which includes my OneNote notebooks and currently active project documents, however due to the size restriction of Live Mesh as well as the restriction in my Internet Service Provider limit there are many documents that I cannot sync using Live Mesh. To solve this, I am using Microsoft SyncToy as my way of keeping them synchronised. The files I like to keep synced between the computers include documents from non current projects or source code from old projects. I also have a collection of essential software such as system utilities, debugging tools, freeware desktop applications, development tools and SDKs. Finally I have a load of learning material including labs, video tutorials and eBooks. When all the folder pairs have been created, select to “Preview All”. 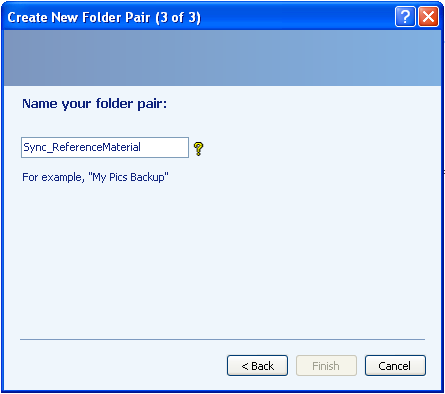 This will compare all files between the folder pairs and make a list of changes required. Prior to setting this up, I had different version of each of the folder pairs but I went through a clean up operation and made the passport drive (Y:) the master copy of all data. I then manually copied this to the paired locations so running the preview the first time showed no differences. 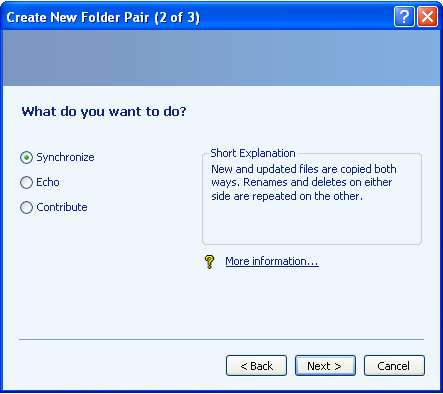 -R Run all folder pairs that are marked as Active for Run All. 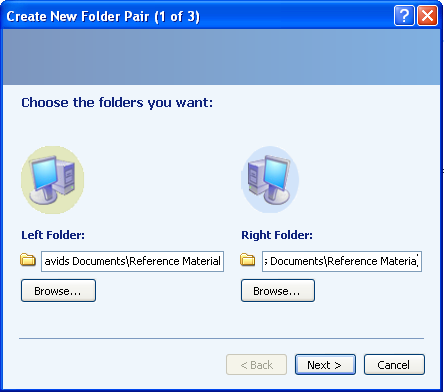 -R <name> Run the named folder pair (only one folder pair can be specified).